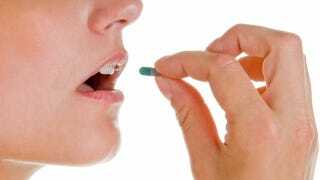 Could a placebo work even if you're not consciously aware of it? Scientists have always believed that placebo effects rely on your conscious expectations of what a pill or therapy is supposed to accomplish. But a new study suggests that your unconscious mind can play a key role in triggering a placebo effect. Could your unconscious mind be making you feel better or worse, based on cues you're not even aware of? In the first experiment, Jensen took 40 volunteers and administered heat stimulation to their forearms while simultaneously showing them images of human faces on the computer screen. For the first face, they were told to expect low pain stimulation, and for the second image, high pain stimulation. The volunteers were asked to to rate their experience of the pain on a scale from 0 to 100, with 100 being the most painful. But what the patients didn't know was that all heat simulations were the same medium temperature. Not surprisingly, the participants applied a low average rating of 19 when they saw the first face, and a high average of 53 when they saw the second face (classic nocebo effect). So far so good, but so far nothing new. But for the second experiment, everything was kept the same except for one thing: the images were shown in such rapid succession that the volunteers couldn't possibly register them at the conscious level — what the researchers referred to as "masked exposures." Yet, the participants recorded pain responses of 25 for the first face, and 44 for the second face. What does this mean? It means that placebo and nocebo responses are not always elicited by what a person consciously thinks will happen, but what the unconscious mind anticipates will happen. Essentially, the researchers verified that subliminal stimuli has an influence on the placebo/nocebo response. Consequently, placebos should be understood as a mechanism that is automatic, fast, and powerful — and one that does not require conscious contemplation or judgement. The researchers anticipate that these findings will offer a new framework for studying placebos, and why people respond to medicines in the way they do. Be sure to check out the entire study at PNAS.